According to FBI statistics, there are over 1.5 million burglaries annually, and 70% of these are residential, and most of the thieves gain entry through the windows and the doors. Furthermore, there is a new crop of thieves who are targeting Amazon deliveries. In this era of Amazon Prime, over one million packages are shipped daily and are often left on your doorstep as most people aren’t around to receive them. This new crop of burglars is targeting these easy wins. A video doorbell can safeguard against property theft, porch pirates and home invasion. In the case of Amazon deliveries, you can integrate your video doorbell with a smart lock so you can remotely open the door for the caller. 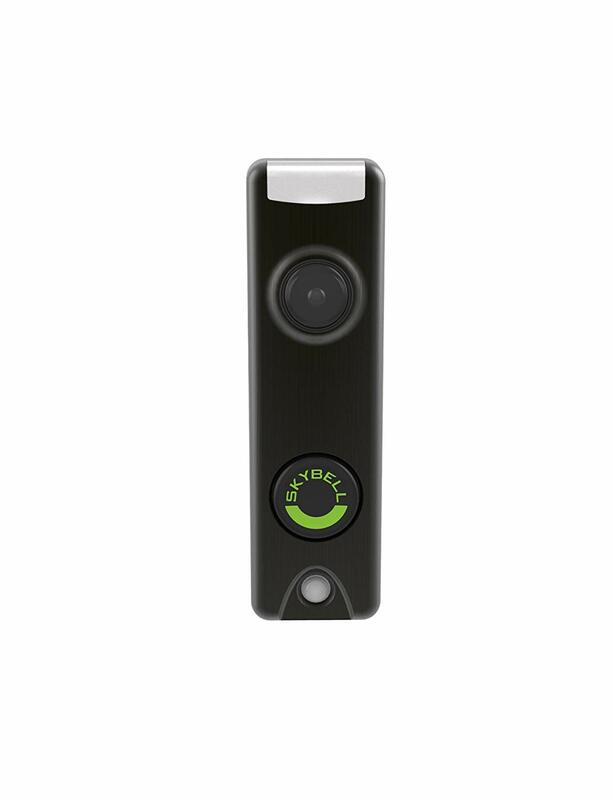 Moreover, thanks to motion detectors in the device, the video doorbell will send out an alert to your smartphone and start recording the moment someone sets foot on your porch. There is also the convenience of a video recording as you can tell who was on your porch and when. Some other perks of smart doorbells include the convenience of a live video call and two-way audio. You can send pesky neighbors or salespeople without the inconvenience of face to face conversations. But how do you ensure you get top value for your money? If you are looking for recommendations, we have created a buying guide of what to look for and the top smart doorbells. This option happens to be the most versatile one available, a feature that has endeared it to so many homeowners. Yes, it is bulky compared to other devices, but it is a worthy sacrifice. First, you will get fast and consistent alerts on your phone within 5 or so seconds of motion detection, or doorbell ring. The video is bright and crisp, and you can tell who is or was at the door. Moreover, it is compatible with most smart home gear if you desire the interoperability. With the 160-degree view, you get a better view of your front door, and there included wedge base means it can work with various doorways. You will also appreciate that it works with mechanical and digital chimes but also has its ring chime that can function as a substitute. Our best features though were the versatility and the app, especially the Ring Neighbors feature. Versatility – This is the only unit that can be wired and operate with a rechargeable removable battery. This is a neat feature especially when there is a power outage as you can still monitor your entryway. Ring Neighbors – This is somewhat of a social platform on the Ring app that allows you to alert and receive alerts from other ring users of suspicious activity. You can set it from 500 feet to 5 miles, and you can even share videos of peeping toms or package thieves. Some other fascinating feature is the app. Seeing as notifications are displayed on your phone within 5 seconds of motion trigger or doorbell trigger, there is no likelihood that an intruder will get away. Once you receive the notification, you can choose to view it on the app or open a widescreen live video. You can also set motion detection zones to eliminate false alerts. This option is best for people looking for the resourcefulness of a wired and battery-powered video doorbell. Another Amazon product, this is one of the better options in the market and is only second as it is more expensive than our top pick. Moreover, it can just be hardwired and needs about 16v to 24V which is higher than the voltage in most houses. Other than that, you will appreciate the slim design especially if your doorframe requires a smaller device. It is fast and consistent, and it only takes about one second for you to receive a notification on your smartphone. It has a motion sensor, and the image quality is excellent at 1080p. Furthermore, it only takes about 2 seconds to establish a live video link. Though the video starts out pixelated, it eventually improves allowing you to tell who is on the porch. The 160-degree view and the community feature are also pleasant additions. You have a full field of view, and you can share security-concerns with other Ring users. 5 GHz network – Unlike other Ring bells that work with 2.4GHz networks, this one works with 5 GHz networks which is a rarity even in other units. Granular motion sensing - The thing with motion sensors on doorbells is that they suffer from false alarms, say a branch blown by the wind, or a car on the street. However, thanks to camera image, you can draw the areas you want the camera to track motion. If your doorframe requires a smaller/slimmer option, we recommend you get this device. The slim design allows you to install it where there is limited space. If you are looking for an affordable option, we recommend you get the Remobell as it is close to half what other devices cost. It is easy to install as it is battery powered and happens to be an all-around great unit. Included in the package are a mounting bracket, screws, the doorbell, and the six rechargeable AA batteries. The rechargeable batteries are a nice touch as they are a rarity. The doorbell is a bit bulky seeing as it battery powered, but it is a worthwhile compromise for the price. The Remobell is water and weather resistant, and thus you can use it in the harshest climate. The video quality on the unit is also good at 720p HD with a 120-degree field of view. You can even get cloud recordings but at a subscription fee. The Remobell also incorporates live streaming and night vision which is capable of recording 10 meters depending on the ambient light. Nevertheless, our best features were ease of installation and motion sensors. Ease of installation – Seeing as these are battery powered, no wiring is required. Simply install the bracket, mount the gadget and tighten the security screw. Motion sensors – The Remobell has a PIR (passive infrared), that detects heat and sends alerts. Seeing as it senses heat instead of motion, the Remobell eliminates most false signals from inanimate objects such as branches swaying in the wind. The Remobell is a solid option for renters or people on a budget. The Skybell HD has to be the most versatile smart doorbell on this list. First, the unit has a 180-degree field of view which is better than the 120-degree field of view of the August doorbell and the 160-degree field of view of the Ring. Moreover, it supports night vision thanks to the multi-color LED. The unit also integrates a motion-sensor and has two-way audio. 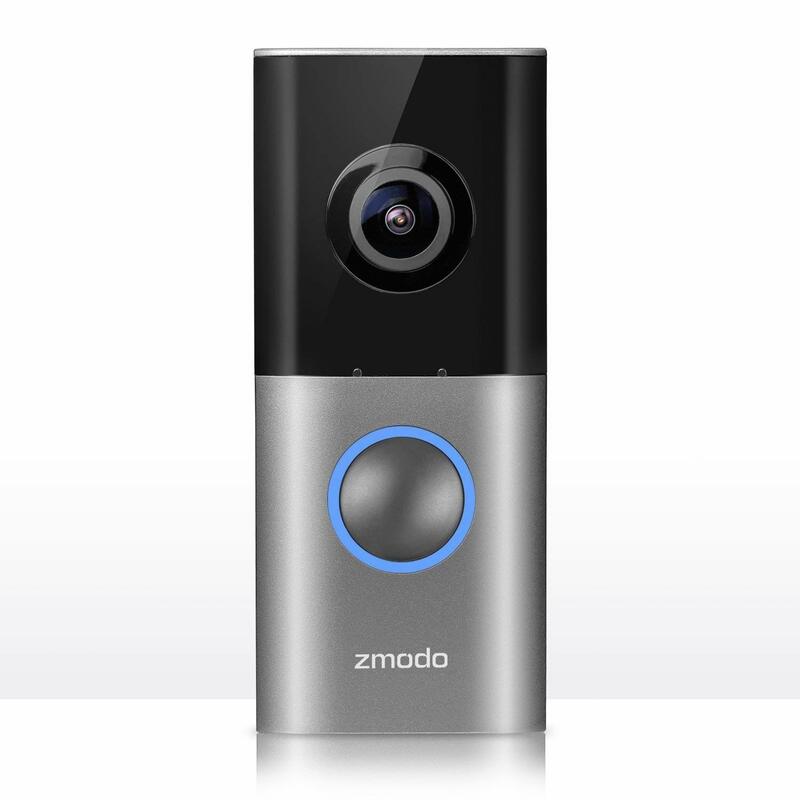 Though it resembles the original Skybell Video Doorbell, that’s where the similarities stop. The gadget measures 2.8 by 2.8 by 0.9 inches, and thus will not fit in a standard door frame. The device is also available in brushed aluminum and oil-rubbed bronze for aesthetics. The prompt push-alerts from this doorbell are another reason you should get it and has on-demand live streaming. However, our best features were the versatility and free clip storage. Free clip storage – Unlike Ring which charges $3 a month and August that charges $5 a month for cloud storage, Skybell HD offers free clip storage when the device is motion triggered or doorbell triggered. Versatility – Through the Skybell app, the Skybell HD happens to be the most versatile unit you can get. You can adjust the speaker volume, set the preferred resolution from 480p all the way up to 1080p, disable or enable chimes, and change LED color and brightness levels. The Skybell HD is best for homeowners interested in partnerships with other companies. •	Has free video storage, and on-demand video recording. This was the first installation by Ring and still happens to be a great unit by all standards. 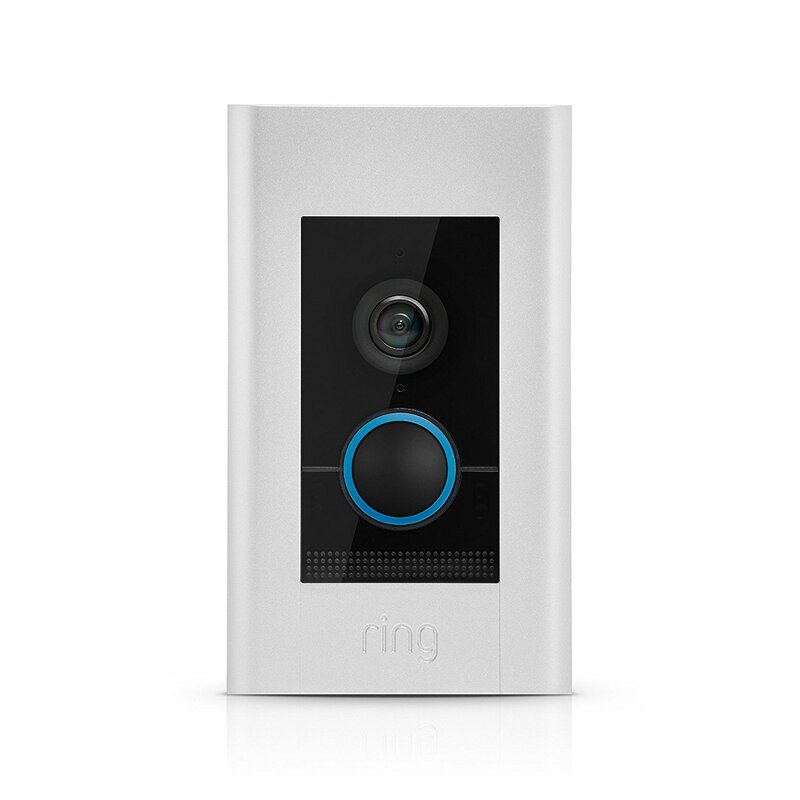 Though the Ring Doorbell 2 and the Ring Pro are better units, they happen to be pricier than the Ring Video Doorbell. Our top features of this unit were the versatility and the field of vision but more on these later. First, it is a chunky unit, and you will need a door frame that can accommodate it. It is easier to install on wood but a bit challenging when if you have a concrete wall. After installation, you link it to the app, and you are ready to go. You will receive notifications within one second of contact sensor being triggered or motion detection, and you can activate live streaming to see who is calling. However, it lacks live on-demand video which could be helpful to check on your property. Some other fascinating features of the Ring, are the infrared night vision, the lifetime theft protection, and the unlimited shared users. The latter is especially useful if you share a house. Versatility – Often, installation can be limiting owing to preferences. Some people prefer, wireless devices while others prefer wired gadgets. The Ring meets both demands. It can be a battery-powered unit which only needs to be charged once a year or a hardwired unit which is our preference. Field of view – With a 180-degree horizontal and a 160-degree vertical field of view, there is no chance that someone can sneak up to your door. This is best for people on a budget or renters. 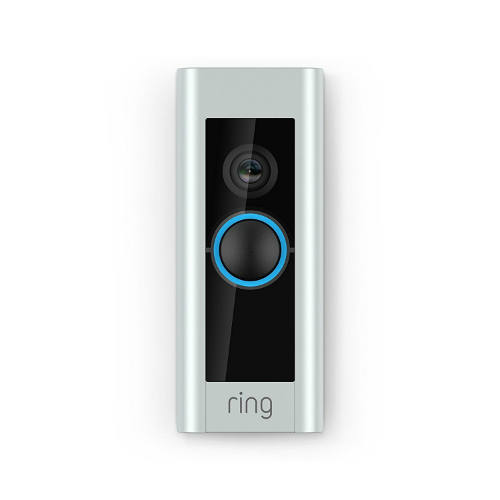 If you are on a generous budget, you can get the Ring Video Doorbell Elite. 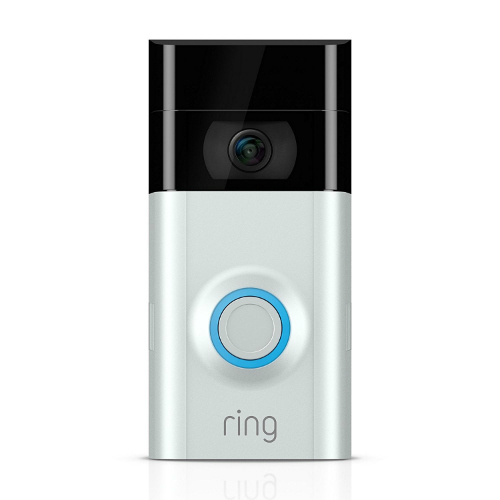 This happens to be the most expensive Ring smart doorbell and is close to the $500 mark. However, it is worth it. First, it is appealing and has the same four interchangeable faceplates to match the outside of your house. You can pick between Satin Nickel, Pearl, Venetian, and Black. The video quality is also unrivaled as it is a sharp 1080p HD. The view is also superb although it is nowhere near the Ring Video Doorbell. The 160-degree horizontal and 90-degree vertical view is limiting compared to the cheaper options. You will also appreciate that it is compatible with Alexa. Once motion is detected, or someone rings the bell, you can check who is there with Alexa, or ask for the live-view on-demand video to monitor the entrance. The sound quality is also superb thanks to the mic and speaker echo cancellation, and thus communication will be better with the caller. Nevertheless, our best features were the junction box installation and the POE. Junction-box installation – Seeing as this is a large unit with a 2.2-inch depth, the junction box installation with flush-mounted finish results in a more appealing alarm and protects the gadget from theft. However, it requires professional installation. POE – Short for power over Ethernet, POE is the most appealing feature of the Ring Elite. Most doorbells are powered by an existing doorbell kit or need a 16-24 VAC DC transformer. The Elite, on the other hand, runs on POE which provides power and a more reliable internet connection. Consequently, you don’t have to worry about power or losing connection. This is for individuals on a generous budget. Following on this list is the ZModo Greet Pro. It is a reasonably affordable unit and retails at the same price as the Skybell HD. However, it retails with a Beam Wi-Fi extender to ensure you get the proper connection. First, the unit is IP51 rated weatherproof and can withstand the harshest conditions. The gunmetal gray and glossy black finish increases the aesthetics, and you can use it in any setting. Moreover, you will appreciate the LEDs surrounding the round doorbell button as it gives a status update. The LED lights a bright green when setting up, a bright red if there is any connectivity issue, and a bright blue when everything is working well. Another fascinating feature is the 180-degree field of view as you can see people approaching from any direction. Furthermore, the fact that it works with both 2.4GHz and 5GHz network makes set up a breeze. Then there is the 1080p image quality that’s quite sharp and crisp. Our best features though were PIR motion sensor and the recorded message. Set a voice message – You can record a voice message for those days or moments you cannot answer a call. You can tell the delivery man to leave the package by the side door and not the front door, and ward off burglars. PIR motion sensors – Short for passive infrared motion sensors, PIR eliminate those false alerts caused by inanimate objects such as leaves blown by the wind. Moreover, you can customize motion detection zones further, so it doesn’t pick motion on the street. Dimensions 4.4 by 1.9 by 0.9 feet. The ZModo Greet pro is best for people with very few needs for third-party integration as it only works with Alexa. If you are looking for a unit that can fit on a small doorframe, we recommend you get the Skybell Trim. It is nothing like the Skybell HD as it has a more traditional look. 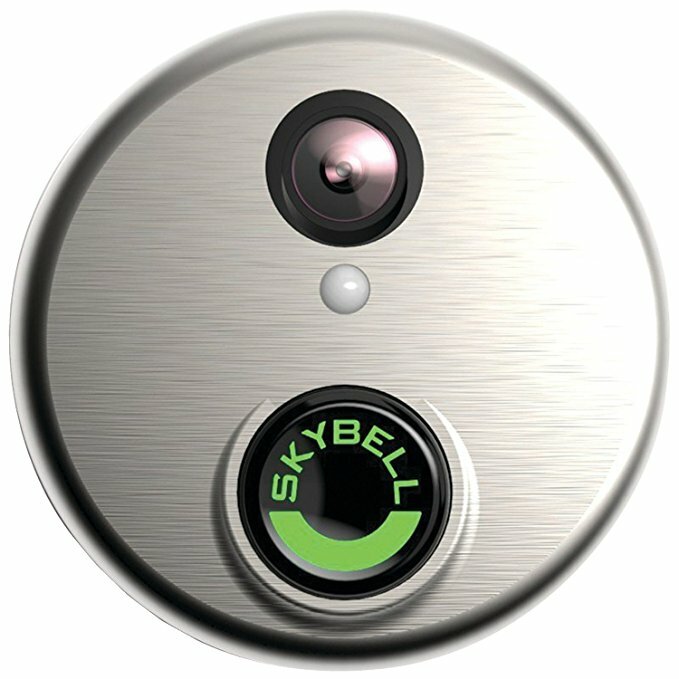 Therefore, there will be a lower likelihood that a delivery man or visitor will skip the doorbell and knock on the door as they did with the Skybell HD. The unit has 2-way audio and on-demand monitoring that allows you to view your front door or porch at any time. Moreover, it has a 1080p image at 15 fps (fps). Though the picture is clear, you can miss a person if he moves fast past the camera. The 180-degree view is another fascinating feature as there is a low likelihood of a person sneaking undetected. The motion detectors can pick up any movement, and there are LED indicators that can deter burglary. You will receive alerts on your phone whenever motion is detected, or the doorbell is rung, and you can capture images with a press of the button. There is also the silent mode that allows you to silence the indoor chime which is handy especially at night. Nevertheless, our best features were the full-color night vision and the weather resistance. Weatherproof – The Skybell Trim is the only option that can function in extreme weather. It works in -40®F to 140®F while its closest competitor can only operate in -5®F. Full-color night vision – Thanks to the light from the LED, you get full-color night vision unlike the black and white associated with most smart options. If you reside in an area with extreme weather, you will appreciate the Skybell Trim. With three interchangeable faceplates, you can customize the SmartCam N2 to match your door or the outside of your home. It is a hardwired unit that you connect where there is an existing doorbell. You will have to do some wiring if this is the first doorbell but installation is a breeze with the included kit. You get a 1080p image thanks to the 3-megapixel sensor and a 150-degree field of view. They have also incorporated night vision, and the video doorbell sees up to 16 feet in the dark. Couple this with the visual noise reduction and you have sharper better images. The smart doorbell is weather resistant, and compatible with Amazon Alexa, and Samsung A1 security system. Nevertheless, our best features were the face recognition and flexible motion zone detection. Face recognition – If you have some favorite people or frequent visitors, you can drag and drop their image in the “interested group” list on the SmartCam+ app. The camera will recognize them every time they call or visit you. Moreover, the doorbell only recognizes human action eliminating false alarms caused by animals. Flexible zone detection – You can adjust the areas the doorbell should check for motion eliminating false alarms by animals. This unit is best for people who reside in areas with harsh weather. If you want to make a statement with your doorbell, we recommend you get the August Cam Pro thanks to its appeal. We would also recommend it as it has the best-designed apps, and works with most smart home systems. It is compatible with Nest, Amazon Alexa, Google Home, IFTTT, HomeAway, Logitech Pop, and Apple HomeKit. Moreover, the cloud storage fee is a low $5 per month. 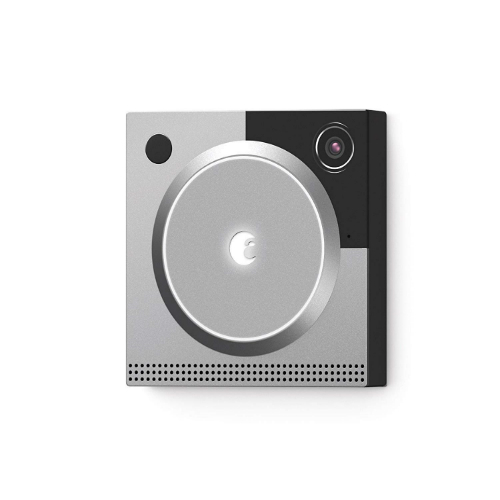 Another exciting feature is that it can be a gateway to larger smart home systems thanks to the August Smart Lock Pro Connect kit that the doorbell integrates with. Moreover, it is easy to install and has exceptional video quality. You can use it to replace an existing doorbell as long as the voltage is between 16V and 24V. Our best features though were the design and the hindsight. 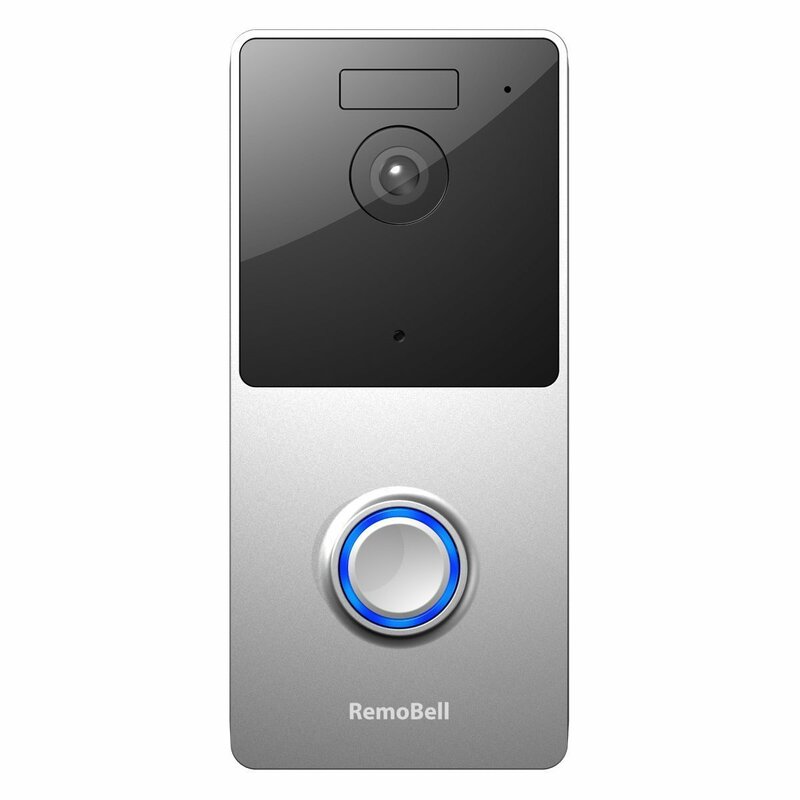 Design - The August Doorbell Cam Pro has to be the most advanced-looking doorbell. It is square shaped with a huge button that is ringed and has a logo on the center. The logo and the ring light up whenever they are motion-triggered and will light up the porch. The light can help deter burglars and also helps capture images and video at night. Hindsight – The camera captures a couple of seconds of video before the motion is detected or the doorbell is triggered. This helps you catch a good glimpse of the people as it is difficult to make out the people’s faces once they are in the frame. Dimensions: 2.9 by 2.9 by 0.9 inches. 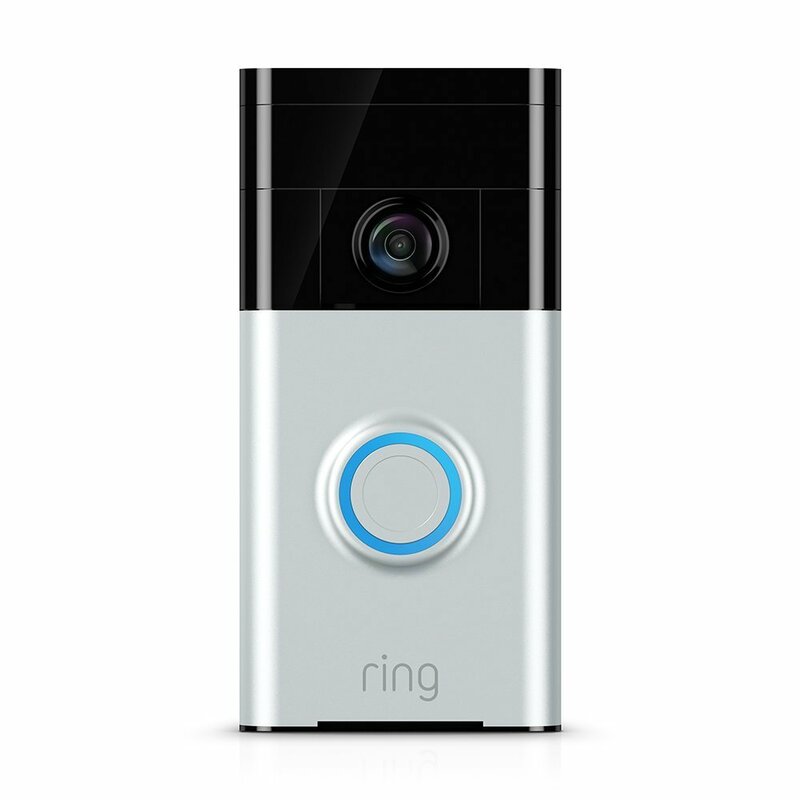 If third-party integration is a priority for you, we recommend you get the August Doorbell Cam Pro. If you are looking to purchase a video doorbell, you have to decide between a wireless unit that uses batteries or a wired device that is powered by a low voltage doorbell wiring. A wireless unit is easier to install as there is no wiring involved. However, their batteries tend to deplete, and it might go off at an inopportune time, say during winter or when you are on vacation. Wired video doorbells, on the other hand, are not straightforward to install, but they go only go off in the event of a power outage. They might cost you more upfront, but they are more convenient than wireless video doorbells. Video doorbells are available in all shapes and sizes. First, they can be bulky and obvious or slim and inconspicuous. Expect battery-powered smart doorbell to be large and wired units to be svelte and low-key. Moreover, consider the latency of the gadget, that is, how long it takes to get an alert after a visitor rings your bell or when the device detects motion on your porch. If it takes too long, you can miss your visitor or the burglar. Consider the view too. Most of these units are exposed to sunlight and should be capable of recording a clear image of the person at the door. Video doorbells are also installed under porches, near shady trees, and various other settings; ensure your device works appropriately in all these conditions. Finally, check the two-way-audio. Ensure the speaker and microphone in the unit are functional so that you can communicate well with the person calling. You can purchase a video doorbell as part of a more extensive home security system, but these require a hub to function. However, they are great as they can work with lighting, sirens, and other smart home tech. Nevertheless, you don’t have to purchase a home security system to get this level of interoperability thanks to IFTTT. If you are buying standalone units, ensure they are compatible with IFTTT as then you can connect them to other standalone smart gadgets. Finally, get a unit that is compatible with Google Assistant, and Amazon Alexa. Some more features that would be nice to have, but are not necessary. First, try and get a unit with 1080p HD video. Though these are expensive and there might be latency issues, you will be more likely to capture more features and recognize faces. 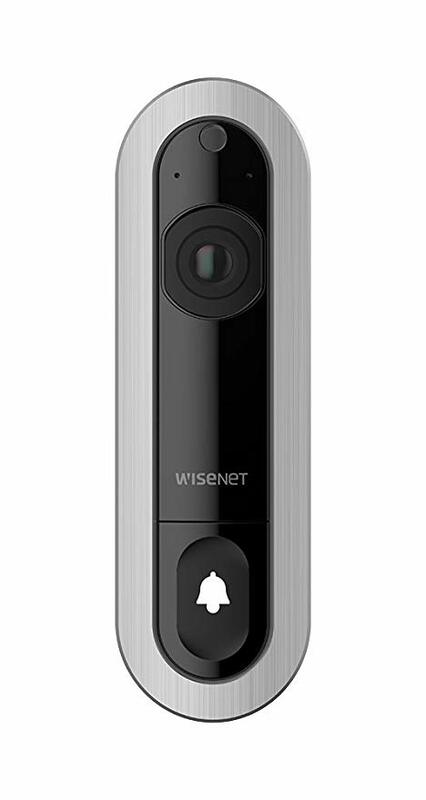 Some devices also have face recognition that can identify visitors by name, color night vision mode unlike the standard black and white night vision, and various alerts that can help differentiate when the doorbell is pressed or motion trigger. How motion sensitive are they? Well, the short answer is that the sensitivity varies from model to model. The bottom line though is that they should be able to pick up the movement of people on your yard and porch while eliminating movement on the road. Some units will allow you to set zones where they should check for motion to reduce false alarms by passersby. Other smart options are designed with a passive infrared which works in conjunction with the motion sensors so that they only detect motion by people and not inanimate objects. They are designed to increase the security on your porch. First, when the motion detector detects movement on your porch or the bell rings, an alert is sent to your phone, and you can create a live feed to see who is there. Some units will record for future reference. Moreover, there are options that allow on-demand video for whenever you want to check your entryway. How can I save my recordings? Most of the units do not allow direct recording. However, you can sign up for cloud service for footage up to 60 days. Some companies offer free cloud service, but the longest is a week by which time you should have downloaded the footage. Which is the preferred camera resolution? Were it up to us; we would recommend you pick a gadget with 1080p HD image resolution. However, there are more factors to consider such as your Wi-Fi network and the frames per second. Pick a unit with a higher FPS, so images of people moving fast are clear. Also, a 1080p gadget is expensive and we recommend images between 1,600 by 1,200 to 1,920 to 1,080. How do you install one? Set up for all the units on this guide is easy apart from the Ring Elite which requires professional installation. You can hardwire the gadget or get a battery-powered unit with a mounting bracket. After setup, link it to the corresponding app, and you are set. With the number of unwanted individuals coming to your door, it’s best you rethink the technology behind the doorbell. A smart doorbell not only increases your safety, but you can also let people in once connected to a smart lock. All in all, we recommend you get the smart doorbells above as they are unmatched.